In this guide, I’ll explain how to take a screenshot on Xiaomi Mi A2 running Andoird One. Capturing the screen on Xiaomi Mi A2 and saving is really easy, thanks to this simple guide. These steps are also valid for Xiaomi Mi A1. 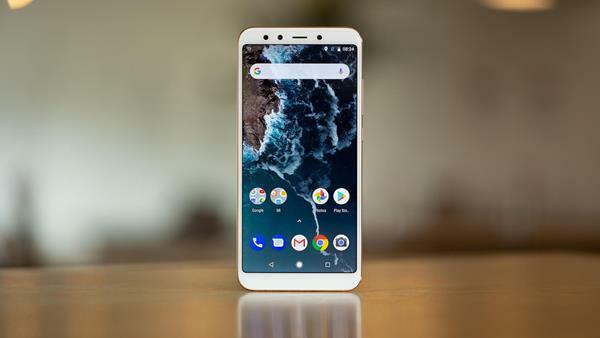 If you’ve just bought Xiaomi Mi A1 or Xiaomi Mi A2, obviously after reading our review, you may wonder how you can take screenshots on this smartphone with Android One. Do not worry, capturing a screen on Mi A2 is very simple and in this guide, I will explain to you step by step how to do just that by explaining the combination of keys to use to take the screenshot of Xiaomi Mi A1 and Mi A2. Go to the page, image, screen or menu you want to capture or save. Now, using two fingers, press and hold the Power + Volume Down key for a few seconds. After a few seconds you will hear the sound of a notification and you will see the newly captured screenshot on the screen. At the top, in the status bar, you will also see a notification. If you open the drop-down menu you will be able to see your shot. Once the screen image is captured, it is saved along with the other photos of your smartphone. If you open the Gallery and the Screenshot folder you will find all the screens you have captured. From the Gallery, you can share images, send them to colleagues and friends and make changes as you please. We have therefore seen how simple it is to make a screenshot on Xiaomi Mi A2. Do not forget to check out our tutorial on How to enable the Face Unlock on Xiaomi Mi A2 and Mi A1.